Q. Are music recordings available for check out? Yes. You can browse CDs, LPs and scores on the 3rd floor. To find out if we have a particular recording, use OneSearch via the Library's homepage. 1. Enter your search terms in the blue search box and click the OneSearch button. 2. On campus? Skip to the next step. If you are off campus, click the "Hello, Guest. 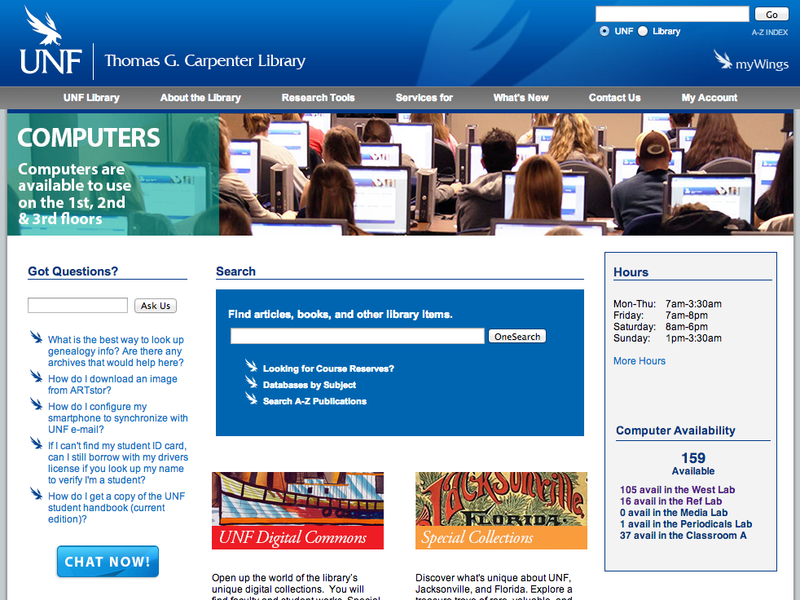 Login for Full Access" link in the yellow box (look below the UNF logo and then to the right). Enter your N# and Osprey password. Click Login. 3. In the column on the left-hand side of the page scroll down to Source Types. Click the Show More link at the bottom of the panel. Check Audio and click the Update button. 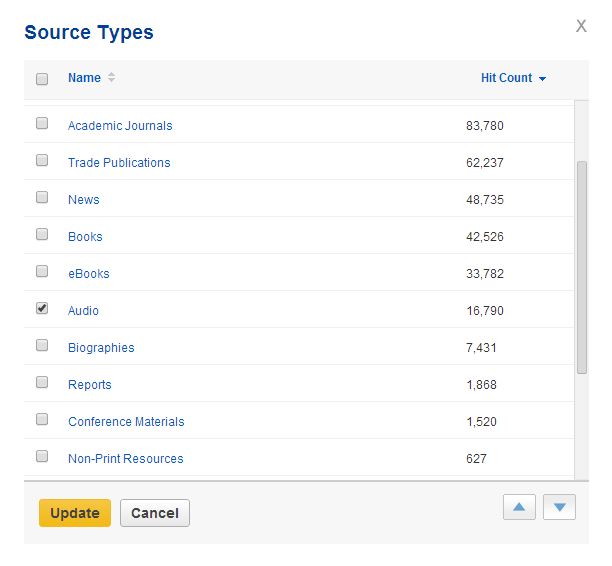 The list of results should be what we have in audio (either in the library or online) related to the search terms that you entered.